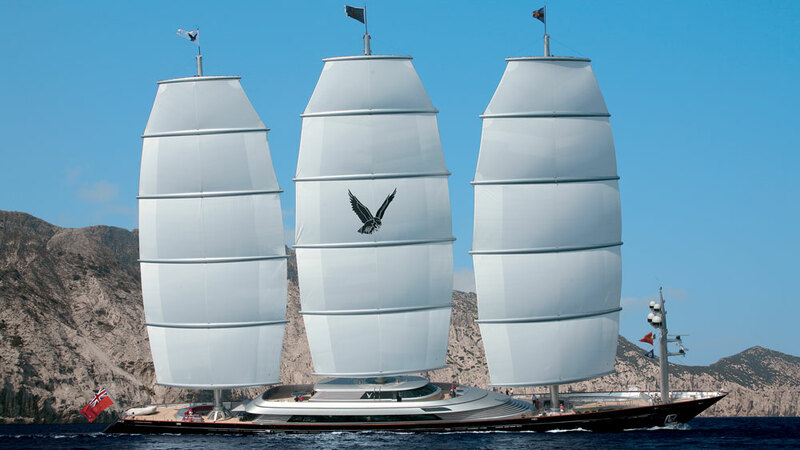 When first constructed, the Maltese Falcon wasn’t a classic yacht; it was a completely new class of yacht. Its revolutionary sailing system — the Falcon Rig — set a milestone in yachting history when it was delivered by Perini Navi in 2006. Fast-forward 12 years, and the Italian shipyard has evolved the existing naval architecture to create a sailing-yacht platform that is like no other. “Over the last three years we’ve been adapting the Maltese Falcon technology to a modern platform, from 42 metres up to 92 metres, that we think will bring more performance to the boat as well as a lifestyle element—the total package,” says Perini. In the case of the 72-metre version, the platform is much wider, which means it keels over less, has more volume, and allows for more spacious owner accommodation. 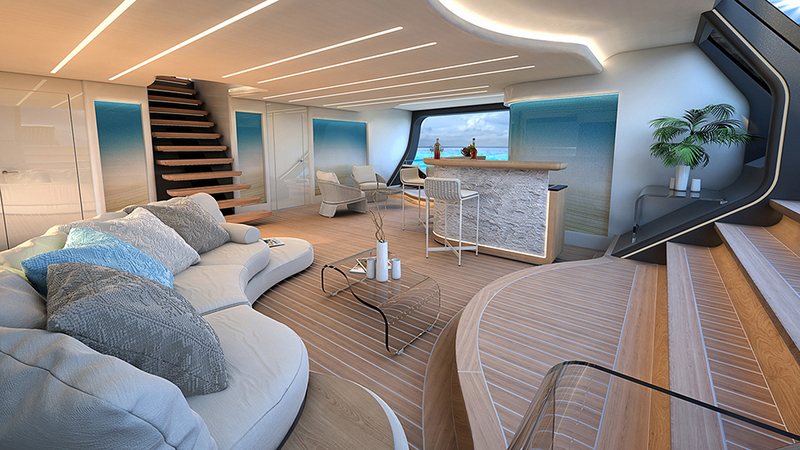 The wider hull and transom provide a layout more commonly seen on large motor yachts, with a beach platform, open side hull, and an inside-outside theme. The increase in power means more velocity, so the Falcon Rigs can be pushed to their limits, while the design itself means guests can walk around and enjoy the boat in safety. The 80-metre Falcon Rig also features a beach club with stairs leading down to an extended swim platform. 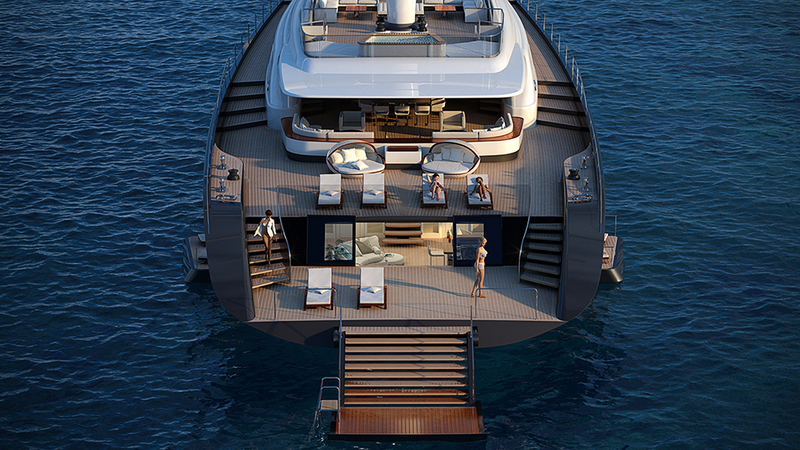 A terrace folds down from the side hull to provide even more sunning and lounging space. This version, constructed in aluminium, has five staterooms for 10 guests and seven crew cabins plus a captain’s cabin for a total of 15 crew. And it boasts a total sail area of 2200 square metres.